Dr. Tejinder pal Singh is a Consultant radiologist in Amritsar and has an experience of 10 years in this field. 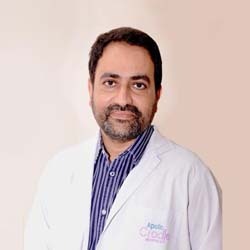 Dr. Tejinder pal Singh practices as Consultant Radiologist at Apollo Cradle at Court Road, Amritsar. He also has special interest in Fetal Medicine & imaging and has attended and has been invited as faculty in various national and international conferences in this subject. He is a member of Indian radiology and Imaging association (IRIA} and Scociety of Fetal Medicine of India. She completed MBBS from Government Medical College, Amritsar in 1997 and MD from Government Medical College, Patiala in 2007.